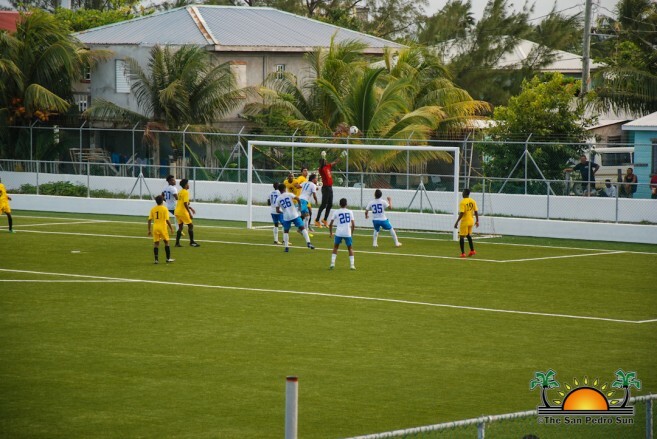 San Pedro Pirates Football Club climbed to third place in the Premier League of Belize (PLB) Tournament after defeating Punta Gorda’s Freedom Fighters 4-1 on Sunday, February 18th at the Ambergris Stadium. The match saw a full stadium with islanders supporting their home team who dominated during the 90-minute game. 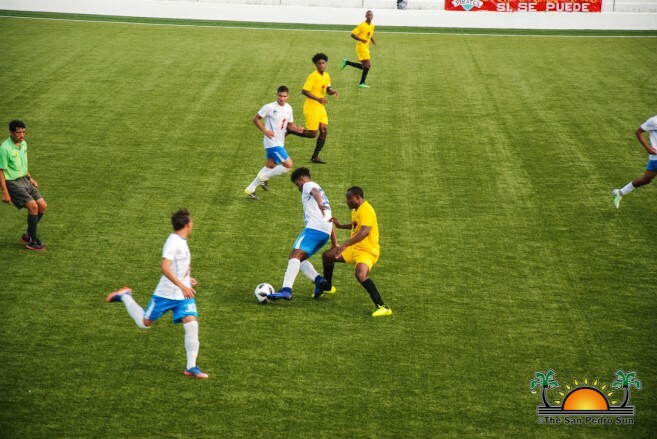 At the end of the match, the island team gained its well-deserved three additional points, which now puts them on the top three teams of the season, along with Belmopan Bandits and PLB 2017 champions, Verdes F.C. In the first half of the game, Freedom Fighters’ defense gave Pirates a challenge that would not give them a chance to score. 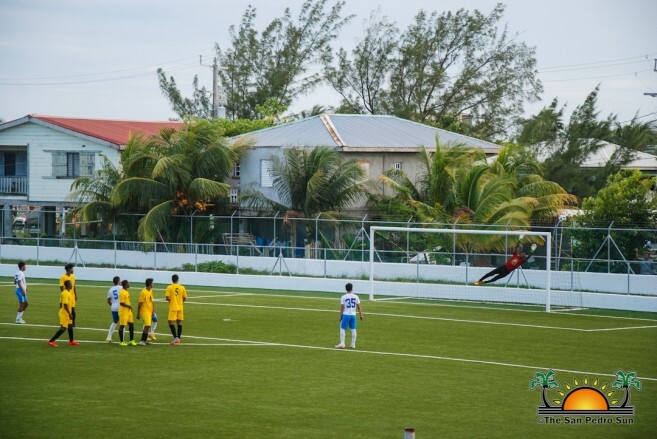 However, 25 minutes into the match, Pirates’ Inri Gonzaga scored the first goal for the island squad. But 18 minutes later, Gabriel Ramos scored for Freedom Fighters tying the game 1-1. 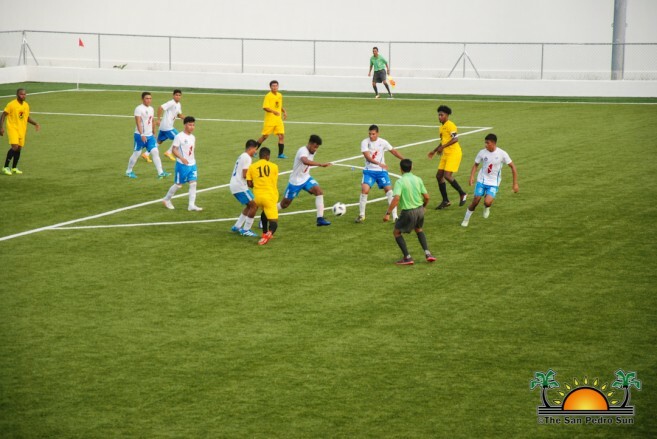 Many of the spectators thought that by halftime the game would end in a draw, but on the last minute Luis Mencia swept through the defense and scored the second goal for Pirates. During the second part of the match, Freedom Fighters attempted to even the score, but with no luck. Instead, at minute 49, Mencia scored another goal for the island team and the crowd roared in celebration. The visiting team tried to find an opportunity to score, but such chance never came. At minute 56, Mencia defeated Freedom Fighter’s goalkeeper with a strong shot marking the fourth goal for the San Pedro Pirates. When the long whistle was blown, the final score was a crushing 4-1. The Pirates are now gearing up to win another three additional points in their upcoming game against Dangriga’s Wagya Football Club. The game is scheduled for Sunday, February 25th beginning at 3PM at the Ambergris Stadium. 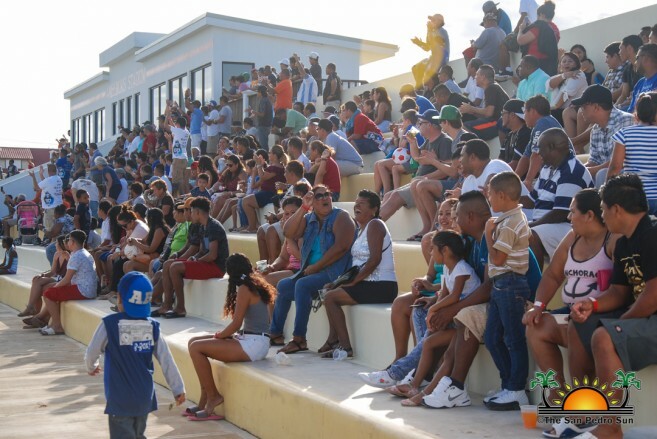 Other games played over the weekend included Belmopan Bandits drawing 1-1 with Verdes, followed by Wagiya also drawing with Placencia Assassins 1-1. In the final game of the weekend, BDF F.C emerged victorious in a tight score of 3-2 against Police United F.C.